A World War Two era nuclear weapon, which was lost after the US military plane carrying it crashed in 1950, may have been found off the coast of British Columbia. In a statement, a Canadian Armed Forces spokesperson said a diver had reported finding an object about 80 km south of Prince Rupert on October 31. The object is likely the Mark IV “Fat Man” bomb, which was on board the US B-36 aircraft when it crashed near Prince Rupert on February 13, 1950, said the CAF spokesperson. Based on information from the US Military, said the spokesperson, the bomb had a dummy (lead) capsule and there is no present danger. “That particular dummy capsule did not contain any nuclear material and there is no suspected radiological safety hazard from this ordnance,” said the spokesperson. 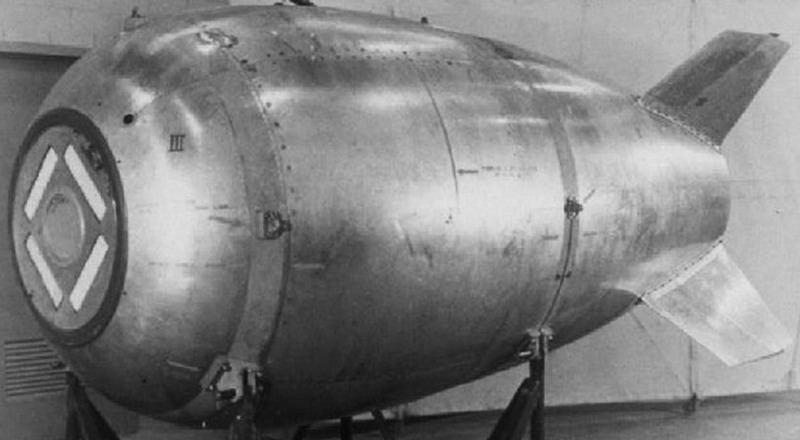 The bomb became known as the “Lost Nuke” and a documentary film charting the crash and loss of the bomb was aired in later years. The B-36 had been flying from Alaska to Texas, with 17 airmen on board, when it crashed, on a mission that included a simulated nuclear attack on San Francisco. But seven hours into the flight, three of the engines caught fire and shut down, and the remaining three were not enough to keep the plane in the air. Realizing they needed to abandon the plane, the airmen jettisoned the bomb and detonated it in mid-air; it was the first time a nuclear weapon had ever been lost this way. The pilots headed for land so the crew could bail out of the plane, then set the plane on an automated course away from Canada. Only 12 airmen survived. The plane wreckage was eventually found in 1953, about 80 km east of the Alaskan border, due east of Stewart, BC and Hyder, Alaska. No trace of the bomb was ever found – until now. The Canadian Armed Forces plan to investigate the possible bomb more closely, using a Maritime Coastal Defence Vessel and dive team. “The safety and security of Canadians is the military’s top priority,” the CAF spokesperson said.